To better inform our university community, please fill out this form to have your information posted. Thank you for taking the time to fill out this evaluation of the Orgsync Training hosted by the Office of Student Activities and Organizations. We appreciate all that you do for NSU and we encourage you to use Orgsync on a regular basis. The Office is committed in helping each member transition into using Orgsync as the main source of communication to its members, faculty, staff and to the public. If further training is needed, please don't hesitate to contact this office at studentactivities@nsula.edu to set up an appointment. EMS (Event Management Systems) is Northwestern State’s scheduling and online calendar system. Recognized Student Organizations will have one registered EMS User at any given time. It is up to the individual organization to determine who will fill this role. The assigned EMS User is responsible for making all room & event requests for their organization. With the use of the Reservation Request Data Sheet, any member of an RSO can request the EMS User to make an online request. The RSO member completing the request will be the primary contact, with the organization’s president serving as the secondary contact. In the event that the president is the primary contact, the organization’s advisor will then serve as the secondary contact. Please indicate your response to the following questions on the basis of your experience of the appropriate committee to which you serve. If you feel that there is scope for improvement in any area, please add comments at the end of the survey. Please fill out this survey if you attended a training, retreat, workshop and/or conference that helped develop organizational management competency. The faculty, staff, and students of University of Louisiana System Institutions volunteer numerous hours and provide a variety of services to our local communities. Your help is needed in documenting these hours and activities for the academic year. 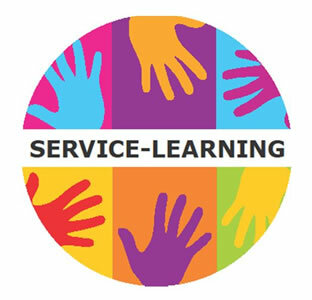 If you volunteered in the community, or if you supervised students involved in a service-learning and/or community service project during the current academic year, please complete the following form. This information will be useful in preparing reports for the University of Louisiana System, the Southern Association of Colleges and Schools, and for the President's Higher Education Community Service Honor Roll. Please fill out one form for every event/project/activity. TV ads: They have to be in a certain format in order to be compatible with the system. Each organization at NSU that wishes to be active over the summer and Fall semester, must complete an OrgSync Officer training with a Student Life N-Sider. Thank you to those who have already scheduled or received a training. Student Life N-siders will address the needs of all students by serving as liaisons to student organizations, assist in the development and implementation of specific divisional projects and initiatives and create a sense connectedness at NSU for all students. The N-siders provide an invaluable link to potential NSU students and continuing students as representatives of the Department of Student Life. The N-siders will bring a variety of qualifications including, but not limited to, an interest in leadership, a desire for continued personal and community improvement, a diversity of life experiences, a willingness to build relationships with fellow students and incoming students, and an enthusiasm for making meaningful contributions to the Northwestern State University community. Potential N-siders must be available on Mondays and Wednesdays at 1:00 PM. To establish a network of mentors and leaders at NSU who excel in scholarship, leadership and service. Provide training and support that empowers N-siders to have the most positive impact on the NSU campus and within the programs hosted by the Department of Student Life. To develop and maintain N-siders who are professional, articulate, knowledgeable about NSU and helpful to those they serve. To enhance essential leadership skills for our N-siders in the areas of effective communication, contributing to a group process, and utilizing your leadership strengths and values. The faculty, staff, and students of University of Louisiana System Institutions volunteer numerous hours and provide a variety of services to our local communities. Your help is needed in documenting these hours and activities for the academic year. This information will be useful in preparing reports for the University of Louisiana System, the Southern Association of Colleges and Schools, and for the President's Higher Education Community Service Honor Roll. Please fill out one form for every event/project/activity. If you volunteered in the community during the current academic year, please complete the following form. If you were involved in a service-learning initiative during the current academic year, please complete the following for as well. In order to get an accurate or close enough headcount, please RSVP before Friday, 11/23/18. This event is normally for students so adding staff will increase our food count. We want to be sure we don't run out of delicious gumbo!!! Please submit ONE RSVP per department. NSU is hosting our annual N-Side View Day on March 9, 2019 from 8:30am - 10am at the Alumni Plaza. All organizations are invited to have a table at the event. Each organization can provide organizational handouts with your website, social media sites, etc. We hope you choose to do one or more of the items above! It’s a great way to hook these students to not only your organization but hopefully to NSU. The more hands available to help setup, the better. We could use you guys to help with setup. Please do not tear down your space until 10am. We are partnering with NSU Athletics to host an RSO Serves event to help promote your organizations' philanthropic efforts. Give out food/drinks/snacks to the participants (THINK ATHLETIC TAILGATE but no alcohol). Please do not tear down your space until the end of halftime.